Are you a small business owner looking to build business credit? Go to eCredable Small Business. Know how long it will take before you can apply for a loan. Rent and Utility bills can help you build credit. You deserve credit for ALL of the bills you pay! 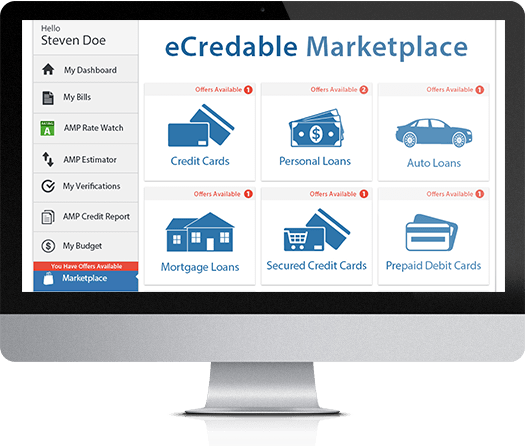 eCredable® uses all the bills you’re currently paying like rent, utilities, mobile phone, cable/satellite TV and insurance to create a credit report and credit score you can use to help you qualify for credit and loans. AMP stands for "All My Payments"
Link your bills using AMP Connect to get detailed payment history in to your AMP Credit Report. 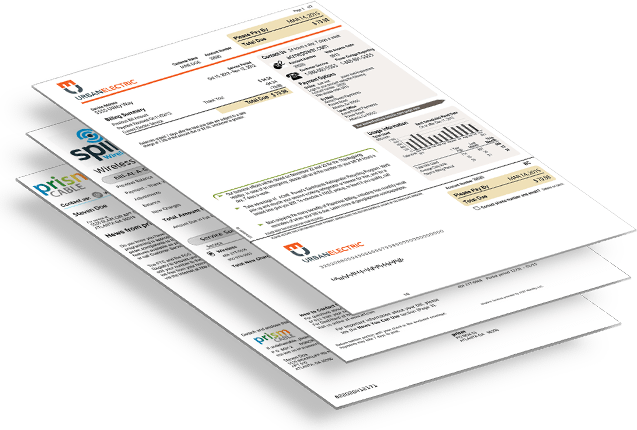 Your AMP Credit Report contains all the bills you choose to include in your credit report. It’s easy to understand, and it’s also in industry standard format lenders are accustomed to. 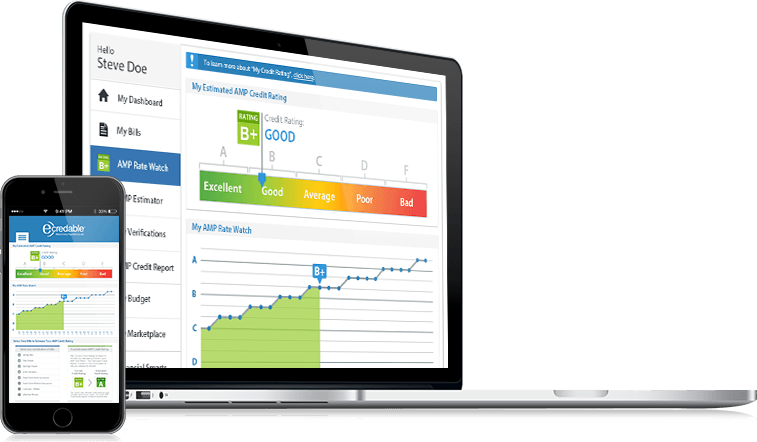 We’ve made it easy to track your credit score over time, so you’ll know when you’re ready to apply for your next loan. eCredable Marketplace - Boost Your Buying Power! Shop in eCredable’s Marketplace for your next loan with confidence – we’ll tell you the credit score you need to qualify. Applying for an offer matched to your credit score may increase your chances of being approved.